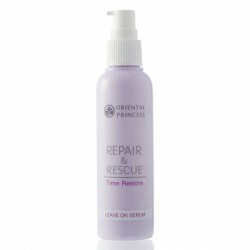 Repair & Rescue There are 9 products. 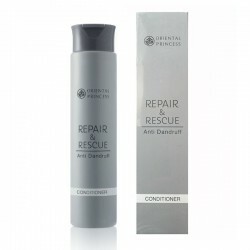 This comprehensive hair treatment conditioner deeply nourishes and coats the hair’s cuticle scales from a single use. 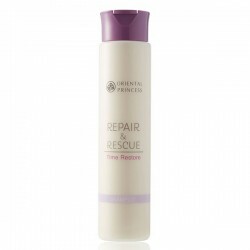 It returns your hair’s smoothness and silky feel by treating damaged hair from within230 ml / 7.7 fl.oz. This intensive repair and deep cleansing shampoo improves the condition of your hair with active ingredients to specifically help repair, protect and nourish hair damaged by perming, dyeing or straightening 230 ml / 7.7 fl.oz. Specifically developed to care cater to dandruff and itches, the conditioner is enriched with Piroctone Olamine, a powerful dandruff-fighting agent, to clear up grease, dirt and white flakes 230 ml / 7.7 fl.oz. This gentle dandruff-fighting shampoo is suitable for those itching, to combat the white flaky foes and soothe scalp irritation 230 ml /7.7 fl.oz. This gentle formula conditioner is suitable for weak and brittle hair without leaving residue, dirt and grease to clog your scalp 230 ml / 7.7 fl.oz. This gentle formula shampoo is suitable for weak and brittle hair. It effectively cleanses residue, dirt and grease from hair without clogging your scalp 230 ml / 7.7 fl.oz.